Looking for an actor who can properly embody a technologically brilliant, power-hungry business mogul whose megalomaniacal drive to rule the world knows no bounds or moral scruples, Warner Bros. has naturally turned to Jesse Eisenberg, believing he could probably tone down his Mark Zuckerberg routine to play Lex Luthor. 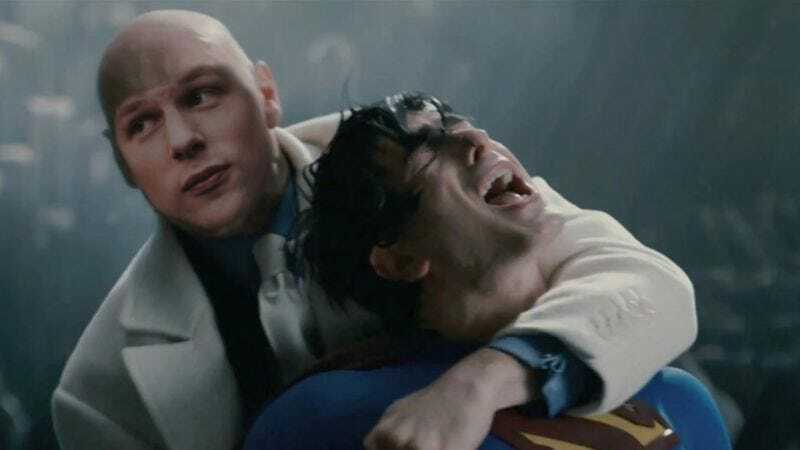 The studio has announced that Eisenberg has been cast as Superman’s arch-nemesis in the upcoming Man Of Steel 2: Whooaaa Black Betty, Bam-Ba-Batman alongside fellow new addition Jeremy Irons, who will take over the role of the loyal Alfred Pennyworth to Ben Affleck’s Bruce Wayne. For Irons, it’s the realization of a wish made by certain sections of the Internet, who cut footage of the actor into fan-made trailers and generally expressed the belief that, like all British men, he would make an excellent butler. For Eisenberg, director Zack Snyder said it was a chance for the film to explore the “intellect, wealth, and prominence”—and general jerkiness—of Luthor that makes him such a powerful foil to Superman, as well as “take the character in some new and unexpected directions,” besides just casting the bald TV villains that everyone else lobbied for, like Bryan Cranston and Mark Strong. It’s also the chance for everyone to make “You know what’s cool?” jokes about supervillainous genocide for the next year-plus that we still have until the movie.